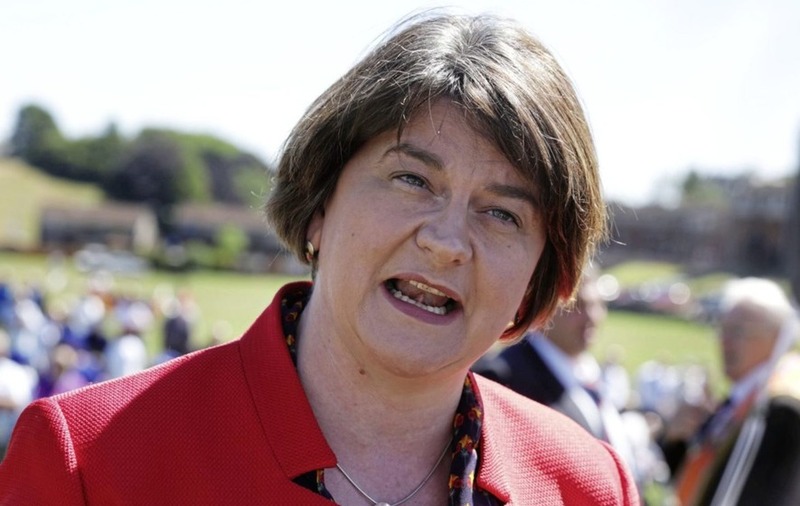 DUP leader Arlene Foster has claimed the north is "being held to ransom" because Sinn Féin is putting preconditions on the party's return to Stormont. Mrs Foster said the British government had not informed her of proposals for a new round negotiations and she accused the Fine Gael leader of interfering in Northern Ireland affairs. "Whilst we will participate in any efforts to restore the executive, Leo Varadkar's comments appear to be an assumption of talks taking place rather than any specific proposals," she said. "The Irish government will know that such strand one matters are for the UK government and the Northern Ireland parties – respect for the three stranded process is important if we are to continue making progress here." The DUP leader said her party had no preconditions for re-establishing the executive but she said Sinn Féin has put red lines "above pay rises for public sector workers, the reform of our health service, roads and our economy". She said republicans were more interested in a "destabilising and unsuccessful campaign" for a border poll than governing in the north. 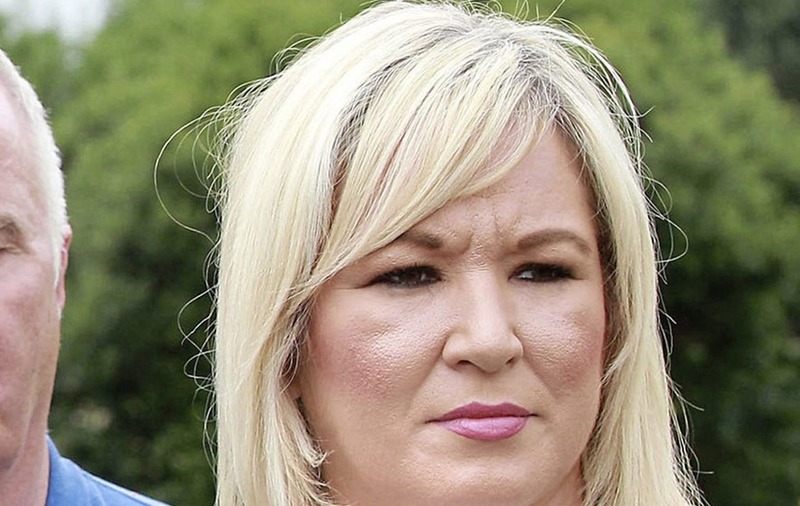 "Instead of attempting to work for any agreement locally, Sinn Fein chose to walk away and boycott the assembly, executive and House of Commons – forums that could give them some influence," she said. Mrs Foster said decisions that were "for the good of everyone in Northern Ireland" needed to be taken. "Either they are taken at Westminster or devolution is restored," she said. Earlier, the DUP said Sinn Féin's key demand of a stand-alone Irish language act was not negotiable. 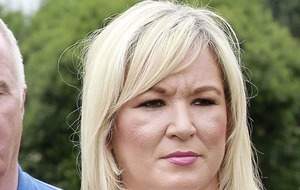 Sinn Féin deputy leader Michelle O'Neill responded by saying "the rights of citizens are non-negotiable". She described Mrs Foster's comments as "disappointing". “There is a special responsibility on political leaders to bridge the divide between us and those we represent," the Mid Ulster MLA said. "That requires positive and progressive thinking to resolve the major obstacles to restoring genuine power-sharing and accountable government." Ms O'Neill said the two parties had an agreement in February, which the DUP "reneged on". "They continue to oppose marriage equality, language rights, access to compassionate women's healthcare and the rights of victims," she said. The Sinn Féin deputy leader said the two governments needed to ensure that any new talks process was "grounded on a real commitment to implement past agreements and deliver citizens' rights". In response to Mr Varadkar's comments on Tuesday, the Northern Ireland Office said the British government and Secretary of State Karen Bradley's "top priority" remained the restoration of devolved government in Northern Ireland. "She will continue to work with all the Northern Ireland parties - and with the Irish government within the three-stranded approach - to remove the barriers to restoring the executive and a fully functioning assembly," the NIO said. Alliance deputy leader Stephen Farry said the prospects of fresh talks was based "more on hope than firm reality". He said a renewed process required a "much more multilateral approach" and the appointment of a independent talks facilitator. "This is essential to provide structure and challenge, and to manage a process including the status of papers and drafting proposed compromises," he said.